Click on an image to read its description. Installation with two chairs and a rug, including drawings, embroideries, a painting, personal artifacts from the artist, ephemera, battery powered candles. 2018. We never know when we will cease to experience a place. We take it for granted that we’ll always have access to sentimental spots. In this case, my grandparents’ home. 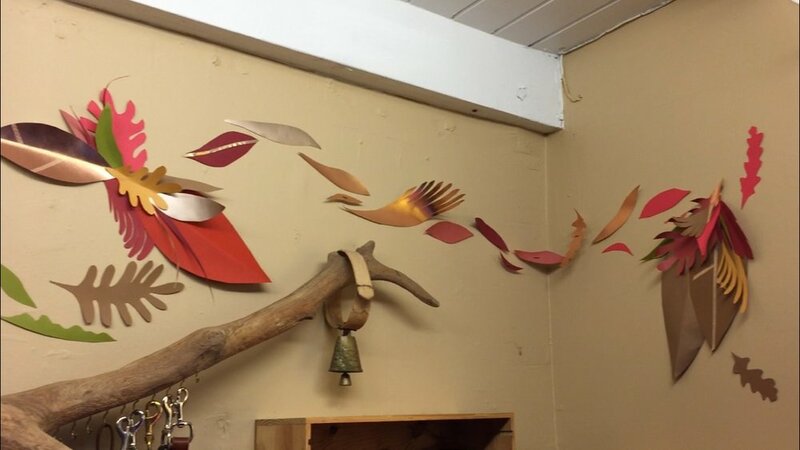 This installation (and others before it) is an attempt to recreate their den, where my grandfather lovingly hung all of my grandmother’s art and projects she made, and her collection ephemera. Installation with personal artifacts from the artist’s childhood, a library of handmade books, several prints, furniture from friends, other people’s art, and a secret fort, at Isabelle Percy West Gallery, California College of the Arts. 2012. We are making homes our whole lives, physically and mentally. I have been fortunate to have many “homes” and “families” as my life has expanded beyond my parents’ house and home town. I want to create an intimate environment with the people who interact with my work; I want them to enter a space where they find themselves reminiscing on their own homes through my stories, which are, essentially, my own home. Alternate view (den and bedroom). 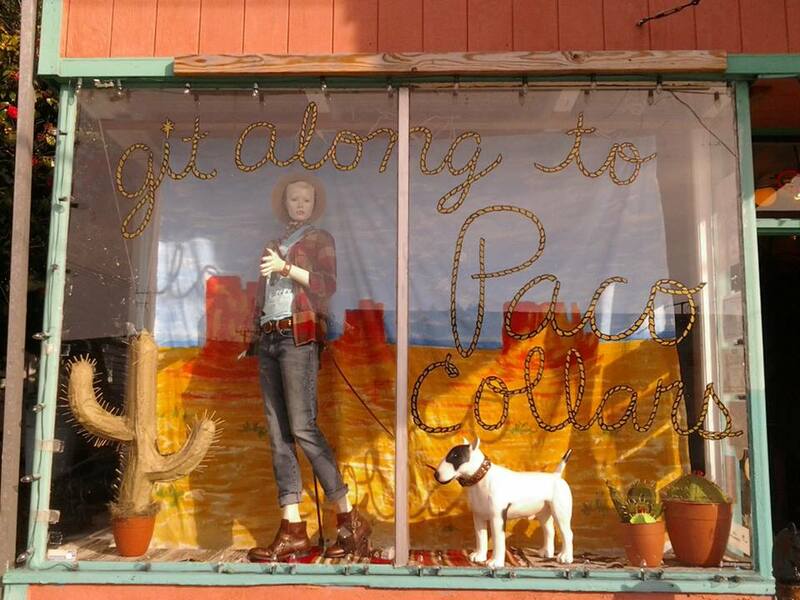 Window installation for Paco Collars with hand painted backdrop and lettering, and handmade cacti. 2016. Window installation for Paco Collars, night view. 2016. Window installation for Paco Collars with hand painted backdrop and lettering. 2016. 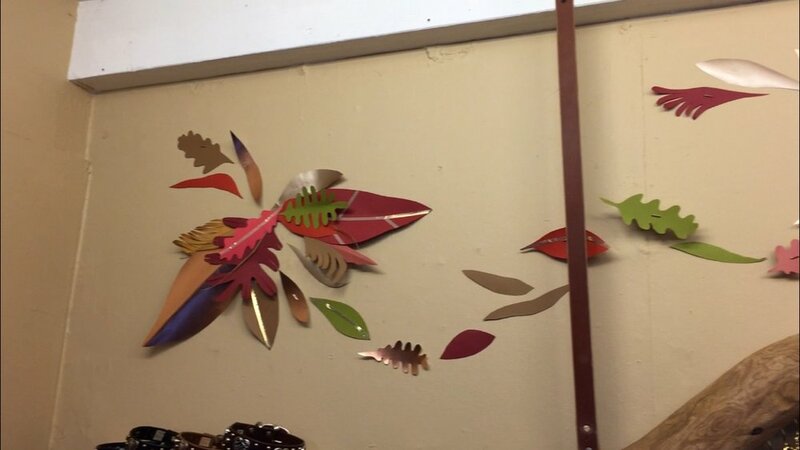 Handmade shop display with paper cutouts and T-pins, for Paco Collars. 2017. Installation for the wedding of Zach and Christina. 2013. Installation for the wedding of Zach and Christina. Detail of hand cut and sewn flags. 2013. Installation for the wedding of Zach and Christina. 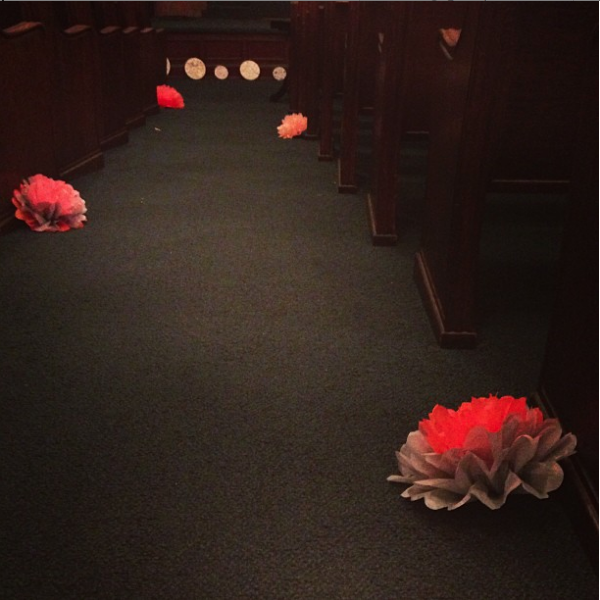 Detail of handmade paper flowers for the aisle. 2013. 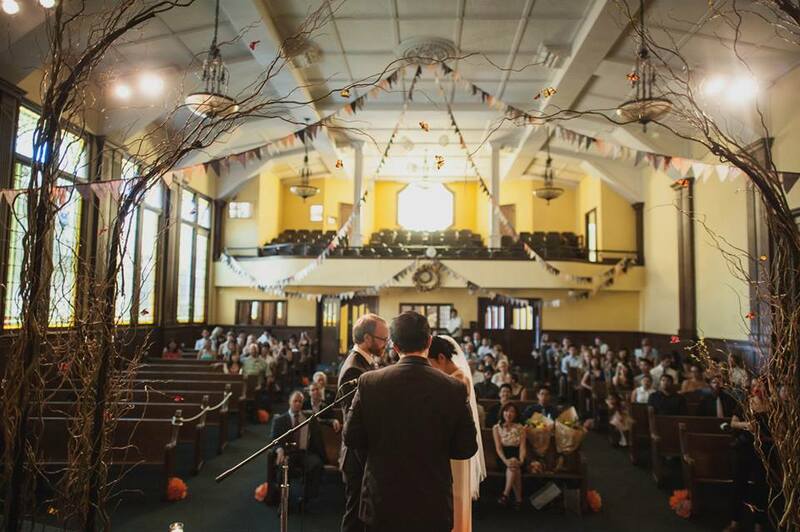 Installation for the wedding of Zach and Christina. Detail of hanging bubbles. 2013. Installation for the wedding of Zach and Christina. Alternate view, before the ceremony. 2013.